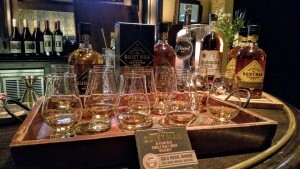 This past Wednesday marked the US launch of a new whiskey here in Chicago. 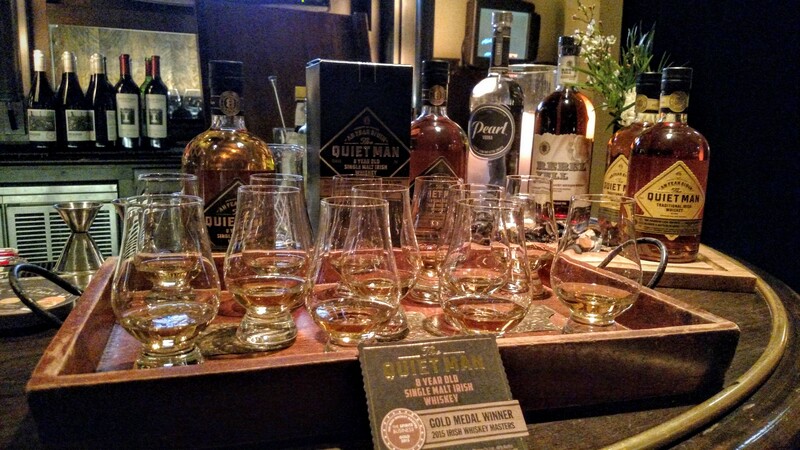 The Quiet Man Irish Whiskey (TQM). The US launch tour started in Miami on January 20th at the Fontainbleau Hotel then came to Chicago’s The Gage bar and restaurant on it’s way to several other US cities through February 14th 2016. 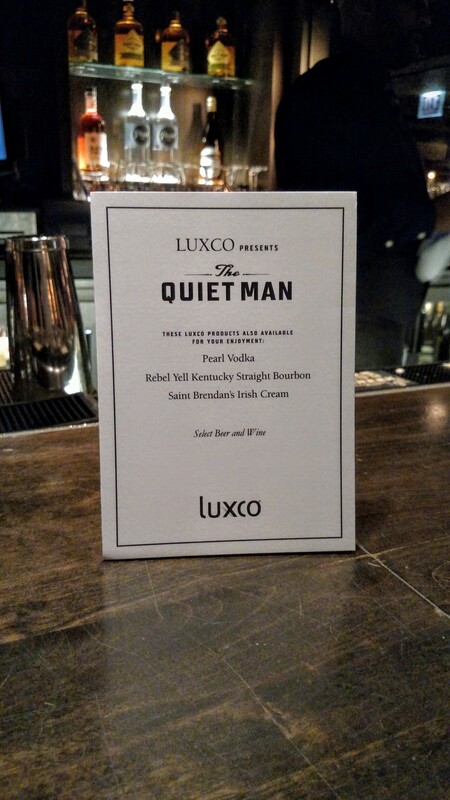 The events are being co-hosted by their US distribution partner Luxco. 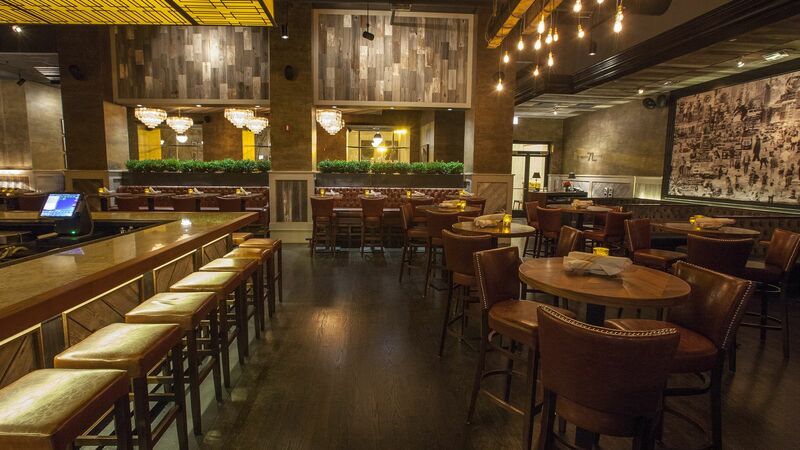 Chicago’s event was very well attended by industry professionals and whiskey fans alike. In our opinion The Gage was an excellent choice of venue. The Gage’s decor conveys a classic sophistication that should be a welcome association for an Irish whiskey. The Quiet Man is currently produced in two expressions. A blended version which carries no age statement but is refereed to as about 4 years old. And a more mature single malt aged 8 years. Both are triple distilled, as opposed to the two distillations typical of a whiskey. Both are aged in first fill oak bourbon barrels. The use of bourbon barrels of course caught our attention. I had the pleasure of sitting down with TQM’s Managing Director, Ciaran Mulgrew, who was in Chicago from Derry in Northern Ireland. Ciaran came off as a very personable guy passionate about his industry and his product. 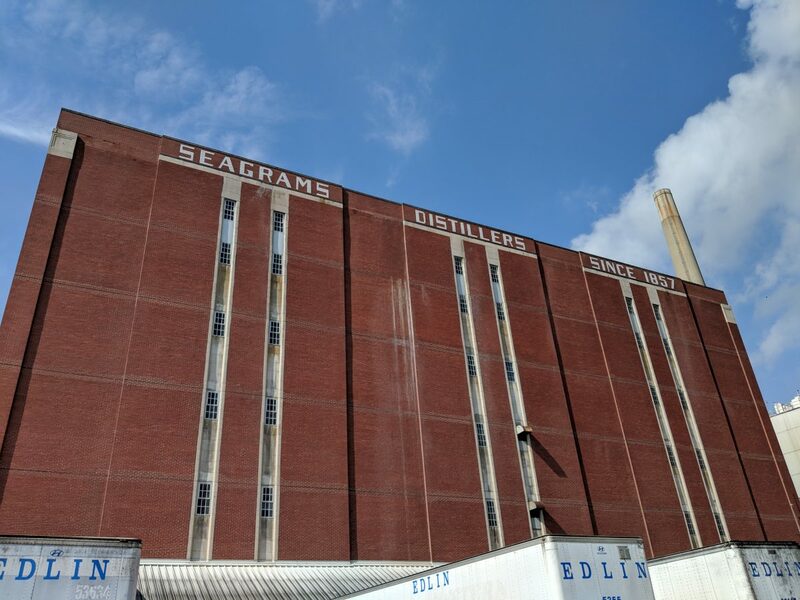 He was open and honest about TQM sharing details that some distillers keep to themselves. This transparency is becoming more and more common in the American bourbon industry. 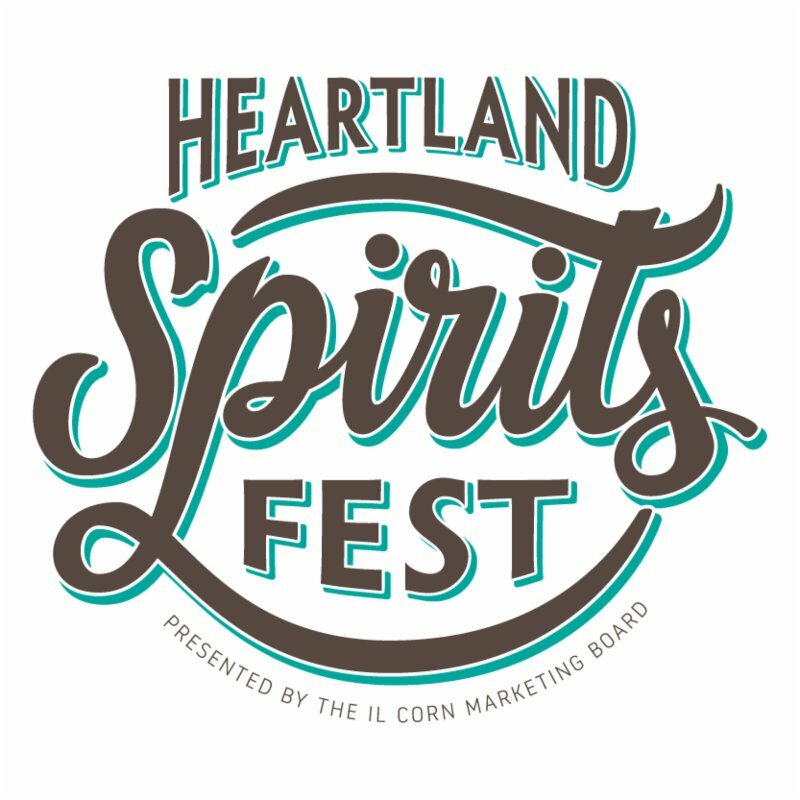 As the market has exploded over the past decade enthusiasts want to know all of the gritty details about the spirits they enjoy. 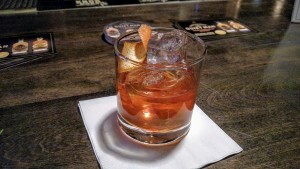 Ciaran shared with me the history of his parent company, Niche Drinks. How they came to be making whiskey, and some of their other endeavors. As well as some personal thoughts on the alcohol industry and it’s future. The Quiet Man is named after Ciaran’s father, John Mulgrew, a bartender for over 50 years. While Ciaran was a regular visitor to his fathers establishment when growing up; he didn’t begin his own career in the liquor industry. For many years his company’s primary product was dairy cream. Their cream was supplied internationally to several industries including alcohol companies making, you guessed it, Irish cream liqueur. TQM’s foray into the distillation business is fairly recent, the distillery was constructed in 2015. As such they are not currently distilling their spirits, though they will begin this year. Instead they have selected the best whiskeys they could find and further aged them in the finest first fill bourbon casks. The first fill casks have been used exactly one time to age bourbon before being used to age TQM. From this we know that the casks came from America, possibly one of your favorite bourbon distilleries. 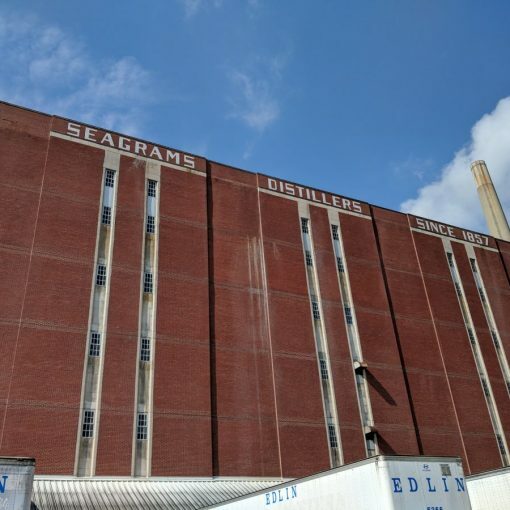 When speaking with Ciaran I mentioned one of our favorites, Buffalo Trace Distillery. He confirmed some sort of relationship with Buffalo Trace but didn’t get into too much detail. Does TQM get their bourbon barrels from Buffalo Trace? Does Buffalo Trace get their cream from TQM parent company Niche Drinks for their new to the market and amazingly delicious Bourbon Cream? We don’t know but it sure would make sense! Ciaran went on to share his firm belief that a truly great whiskey is formed during the aging process. Specifically speaking to how important the wood is in determining the quality of the final product. Distillation is the easy part, aging is where the magic happens. Speaking of the magic we sampled both of their products, the blend and the 8 year single malt. The blend is bottled at 80 proof. It expresses sweet notes of honey and vanilla in both the nose and the taste. There is some extra heat in the finish due in part to it’s younger age. It’s no doubt that some of that extra sweetness is a result of the years spent in bourbon barrels. Next we moved on to the 8 year single malt, also bottled at 80 proof. The extra barrel time and moderate ABV led to a very smooth and pleasantly complex taste with a nice easy finish. Both expressions were enjoyable neat, they have distinct taste profiles that makes each one unique. 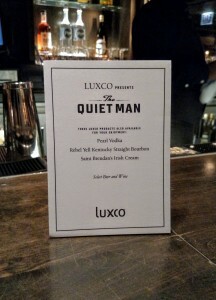 The Quiet Man will be hosting their next event in Boston the week of February 1st. They will be distributing worldwide beginning in 2016 and aim to produce 300,000 cases a year. If you find yourself in Ireland keep an eye out for their brand new visitors center. 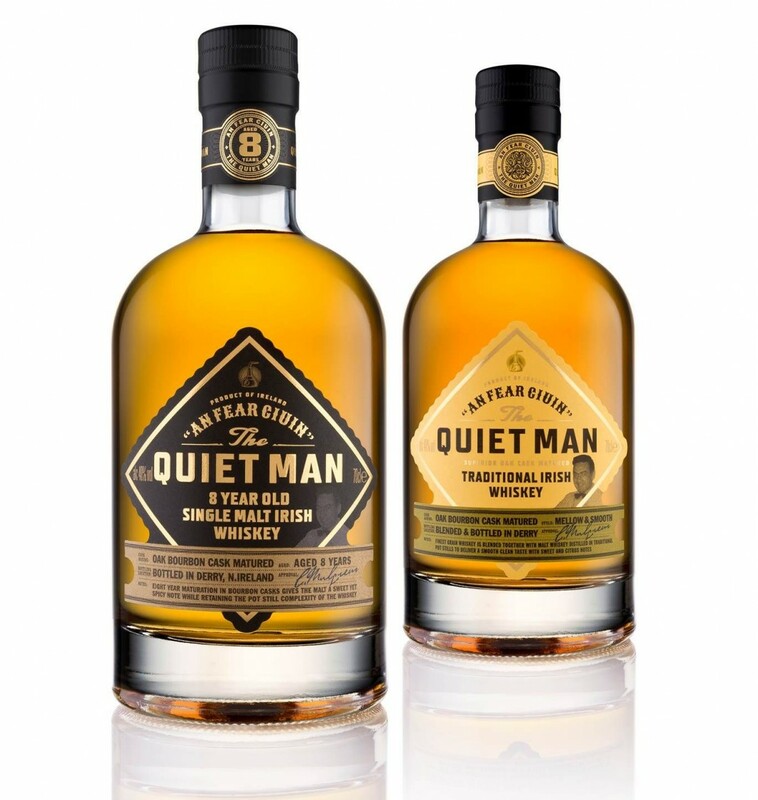 If you’re state side look for The Quiet Man Blended Irish Whiskey and the 8 year Single Malt on store shelves in early 2016.